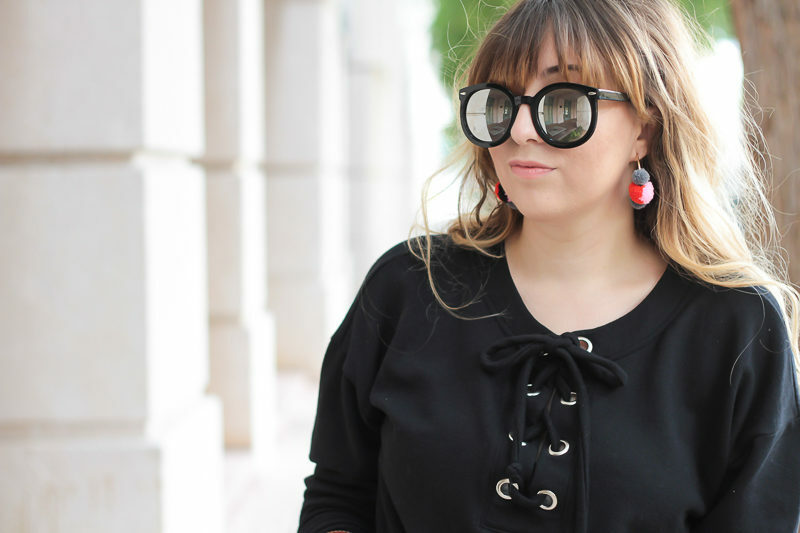 Last week, I headed to Coral Gables with Savannah Jayne from The Plain Jayne and we shot some outfits and had lunch. I love shooting with my blogger friends. 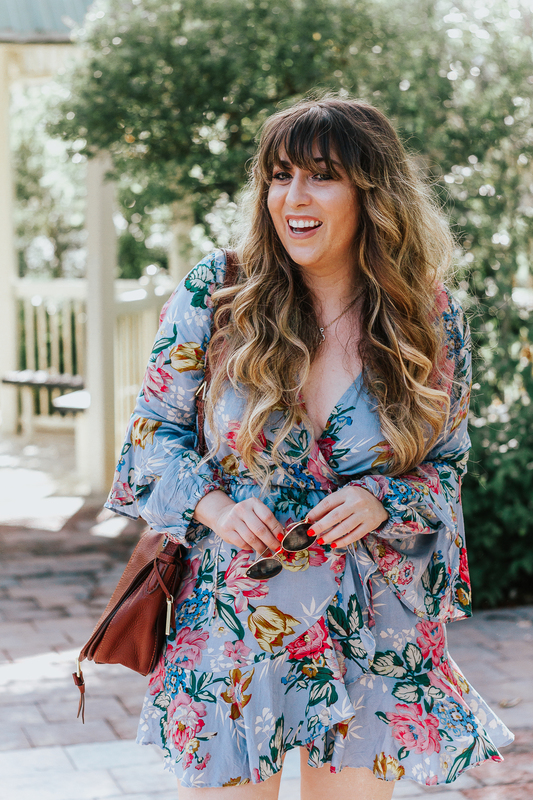 I’ve said it a million times and I’ll continue to say it… I love that blogging has really brought so many great girls into my life! 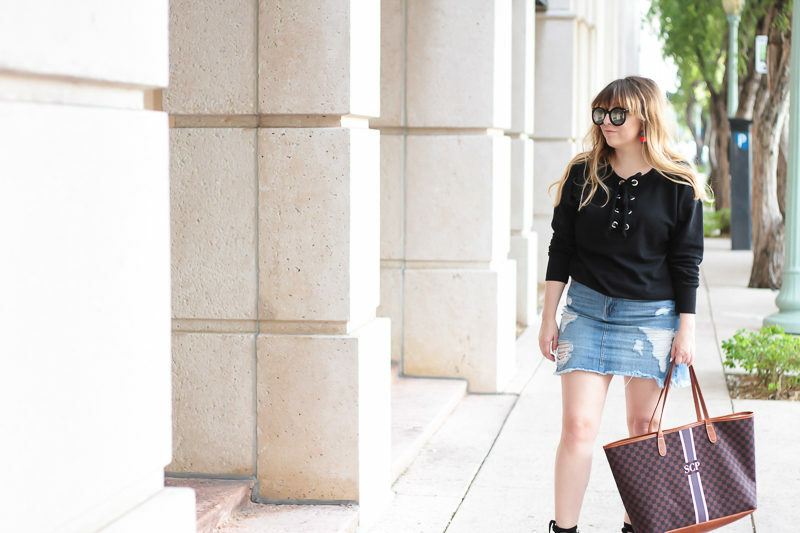 I’ve been wearing this jean skirt A LOT lately! I had been trying to hunt down a distressed denim skirt that had the right amount of fraying on the hem. I bought this skirt a few weeks ago and didn’t realize it had a giant REAL hole on the side… so I had to exchange it for another one! I like that it’s a bit of a longer length. I love my Topshop skirt, but it always rides up (because I bought the wrong size, eyeroll) so I’ve been looking for something in a longer length too. This skirt is only $19.90 so you basically just need it in your wardrobe. I’m wearing a large, btw. I got this lace-up sweater for Christmas… it’s from Nordstrom Rack and it looks like online the black color is sold out 🙁 It’s still available in heather blue and heather olive. I love this one or this one if you really want the black… they’re both super cute and would work just as well. 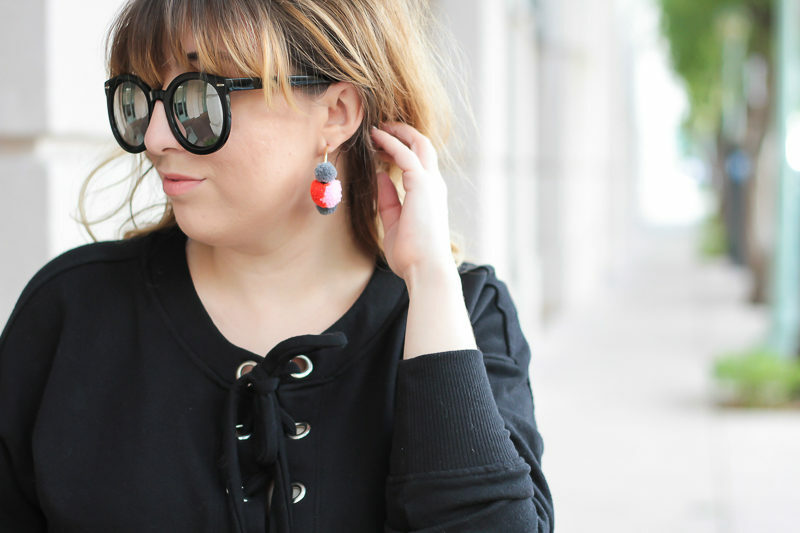 Can we take a sec to talk about how amazing these pom-pom earrings are?? I spotted them a few weeks ago on Baublebar’s website and knew I absolutely needed them for some of the beach getaways I’ve got planned over the next couple of months. I love that they’re a hoop! SO different and unique. I’ve been wearing them a lot lately! Last but not least… I HAVE to talk about this amazing monogram tote. I had been eyeing it for ages. I’ve been in need of a day bag I can just grab and go for every day. This bag from Barrington Gifts is AMAZING. It’s huge, carries a ton and is great for everything from running errands to traveling. Get ready to get sick of this bag because I’ve been carrying it non-stop! So, this bag is called the St Anne tote and you can totally customize it. Pattern, colors, monogram style, etc. I also got a Belmont Cabin bag that I’m taking with me to Disney World this weekend! Thanks so much for reading! Hope you gals are having a great day back at work. Hit the comments and let me know how your long weekend was!